It’s no secret that space is full of mysteries. Our species has barely gone past our own planet’s moon, and only one of our probes, Voyager 1, has even left the solar system. Much of what we’ve learned about deep space has been pieced together from falling objects and views from telescopes. 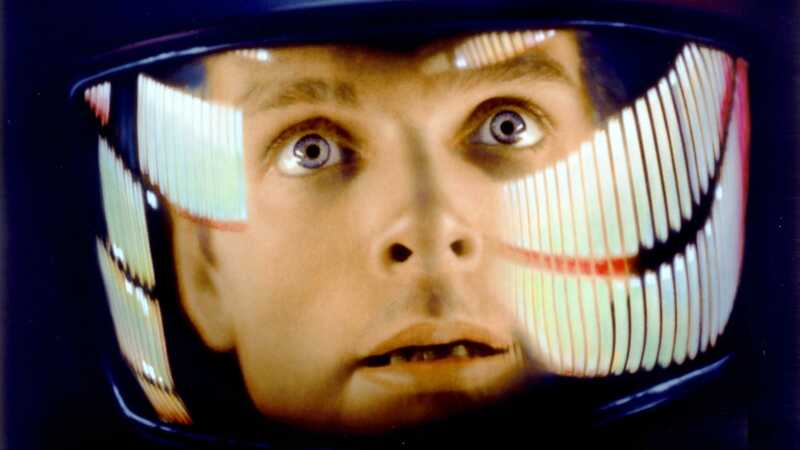 Some of the famous (and chilling) space mysteries, like the face on Mars (it was shadows), or the black knight satellite “UFO” (it’s satellite debris), have been solved. But space is rife with unexplained phenomena that put those two mere optical illusions to shame. And some of the seven included in this slideshow could hold the key to understanding the universe. 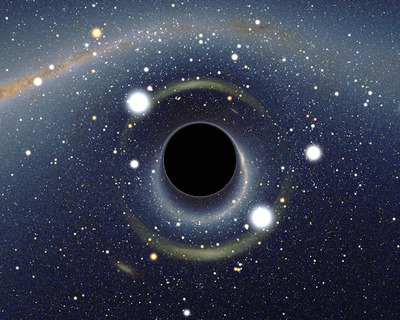 Black holes are the ultimate cosmic quicksand. They're formed when a giant star collapses, imploding into a tiny area of such intense gravity, even the surrounding light is sucked in. This means that although we've got a sense of how black holes work, we've still never actually seen one -- they're invisible to telescopes that pick up electromagnetic radiation, light, or X-rays. We can only guess what they look like on the inside. Unlike a black hole, the Giant Void isn't a hole in space -- instead, it's curiously empty of both matter and dark matter. And also different from a black hole, light can pass through the void, though scientists believe it contains dark energy. It's not the only void in space, either, although it is the largest, with an estimated diameter of 1.3 billion light years. 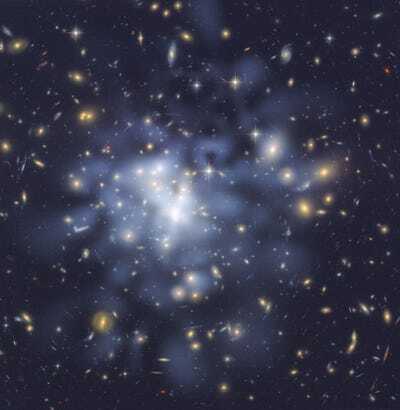 The foggy haze is astronomers' interpretation of where dark matter is located in this galaxy cluster. Dark matter is still a mystery, but we're relying on it to help explain some of the unknowns of our universe -- cosmologists believe as much as 27% of the universe is dark matter. 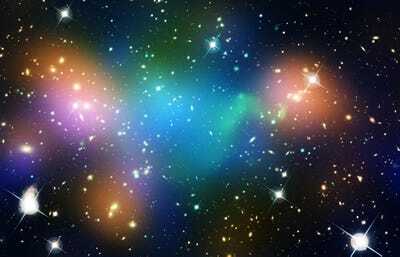 We're more certain of what dark matter isn't rather than what it is. It's not made of black holes (the light warping that they'd cause isn't present). One theory: the dark matter of the universe is made up of primordial black holes. In addition to the 27% of the universe that's believed to be dark matter, a lot more is in the form of dark energy, which makes up about 68% of everything around us (the 'normal' matter we all know and love is only 5% of the universe). And like dark matter, we don't know much about dark energy, but the current hypothesis is that it's what's behind the increasing expansion of the universe (whereas dark matter slows it). Much of our understanding of dark matter and energy comes from the Cosmic Microwave Background, a snapshot of thermal radiation 'soon' (380,000 years) after the Big Bang, when hydrogen atoms were first formed. There's something really attractive 220 million light years away, and it's dragging our whole galaxy towards it. Ever since the Big Bang, the entire universe has been expanding, so it makes sense that our galaxy would be moving. But not in the direction it's headed. 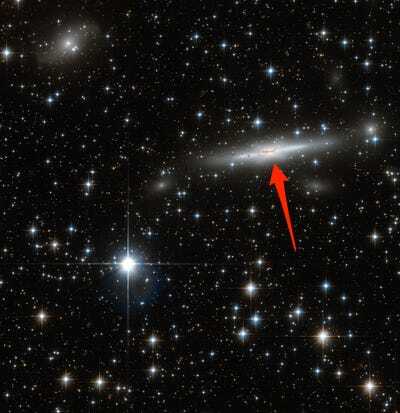 The cluster pointed out above is a gravitational anomaly known as the Great Attractor, and its brightness is due to its gravitational attraction. Some point to dark matter as the cause of this. And others claim that our own galaxy, the Milky Way, is blocking our view of whatever it is that's pulling us towards it at 1.4 million mph. For a brief moment, Saturn had a tiny, mysterious little moon, named Peggy. 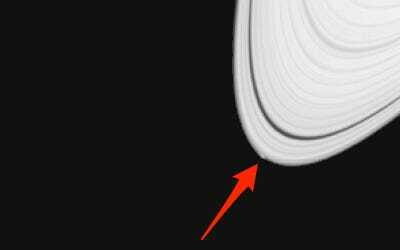 Back in 2013, NASA's Cassini took this snapshot of Saturn's rings, and caught a disturbance that astronomers believed was a new, little moon forming. The discovery shed light on how Saturn's 67 other satellites developed. Unfortunately, as NASA's Jet Propulsion Lab pointed out in a press release announcing the satellite, 'the object is not expected to grow any larger, and may even be falling apart.' Peggy's current status is unknown. 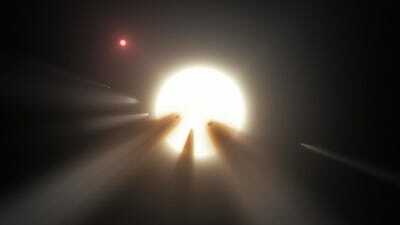 The star KIC 8462852 doesn't just have a snappy, memorable name, it's also an unsolved anomaly 1,500 light years away. There's something big in the way of KIC 8462852, also known as 'Tabby's Star.' 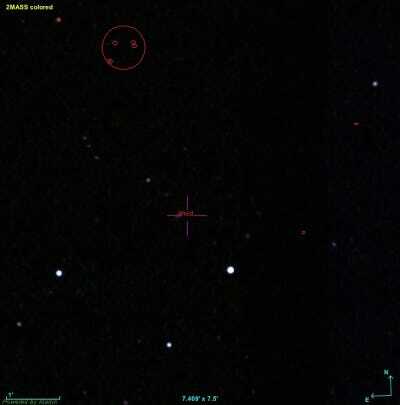 About 20% of the light the star emits is blocked from our vantage point. And it's probably not a planet -- even one as large as Jupiter would only block 1% of a star the size of KIC 8462852. Some have suggested it's a Dyson Swarm, a less complete version of a megastructure known as a Dyson Sphere, which surrounds a star and harvests its energy output. We'll probably get a better idea of what's going on with the star when NASA launches the James Webb Space Telescope in 2018, but until then, 'unknown alien megastructure' sounds like a pretty cool explanation.